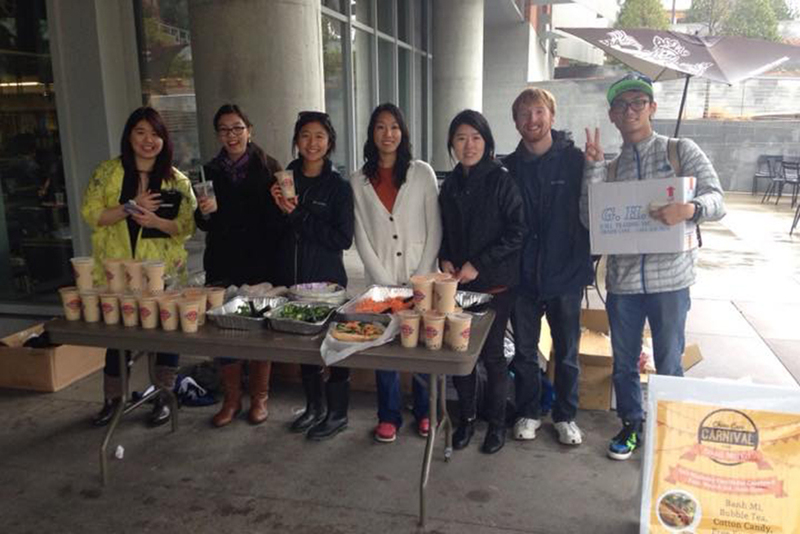 On March 3, despite the gloomy weather, China Care held their Carnival with Street Market in Skiles Courtyard. This event featured Chinese street food for sale like bahn mi, bubble tea, lotus chips and egg tarts along with a free moon bounce and the opportunity to play corn hole. The event drew many people who wanted to learn more about Asian culture and appreciate its food. China Care has been on Tech’s campus for more than five years as a philanthropy group. Their mission, in addition to promoting diversity on campus, is to help adopted Chinese children and fundraise for orphans in China. Each month, the group members have play-groups with local children, originally from China, who have been adopted by American families. The children are brought on campus to play games and participate in traditional Chinese activities like a mini–Chinese New Year. “[The children] learn a little bit more about their culture, and also they can play with the other kids and learn how to identify themselves because they’re in an interesting situation,” said Cheng, referring to the play-groups. The organization has also been able to fundraise for orphans in China. The money goes towards orphans in China who have special needs and are medically fragile. Last year, China Care raised approximately $5,000 to fund a surgery for XingYu, who was born with Hirschsprung’s disease, a condition affecting the lower abdomen. Last semester, China Care put on “Cure Your Cravings,” a cultural event that featured restaurant-catered Chinese food along with performances from a lion dance group, comedian and more. China Care ended up raising $900 which was then donated to help Chinese orphans. China Care will be hosting a charity dinner fundraising event on April 4. This event will be held at a restaurant on Buford Highway and includes Chinese performances along with raffles for Chinese artifacts. One of the biggest attractions for the event, however, remains the authentic cuisine. Ultimately, China Care aims to bring more Chinese awareness to Tech, and they welcome everyone to their events.